Aloo lovers, here’s a shout out to you! We couldn’t keep calm when Taco Bell made its way to Hyderabad, and now we hear it has launched tacos with potato shells. Yes, you read that right! Their brand new Crispy Potaco is a crispy potato shell with gooey stuffing on the inside. It has some Mexican spices in addition to the potato shell and is stuffed with lettuce, fiesta salsa, cheese and signature sauces. 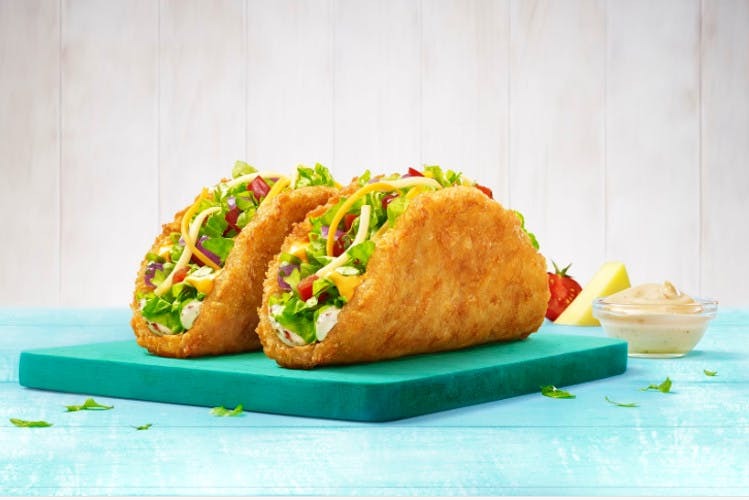 Considering the popularity of their Naked Chicken Taco, we are sure this one will be loved to bits too. As of now, it is available across all Taco Bell joints in India including the one in our city. So, go on and grab this yummy potato treat at just INR 99 and po-tay-to, po-tah-to all you can.